Damaged Cars Coming Out Of Flooded Regions Of U.S.! We all remember the devastation caused by hurricanes Harvey and Irma. It is important to note that Hundreds of thousands of cars were flooded in those hurricanes . Although most of those vehicles have since been taken off the market. But don’t under estimate the number that have been restored and sent to the auction. Unsuspecting buyers of used vehicles, hundreds of miles from where they were flooded months earlier could fall victim of unscrupulous dealers or private sellers. Assumptions Can Cost You Money! Our example consumer knew when he bought the vehicle that underneath had some rust, and the engine compartment had what seemed like a light coating of road salt in it, which he assumed meant the car came from somewhere in the northern states, where salt is used for de-icing roadways. But when he took it to his mechanic, he told him it wasn’t road salt, but sea salt causing his problems. So the mechanic helped him find a Carfax report, where they learned the truck was located in Florida in the midst of Hurricane Irma. It was then sold at auction as “salvage,” according to the Carfax report. “The insurance company wrote it up as a complete loss and gave it the designation salvage and flood damaged vehicle,” The part we need to pay attention to is that he no idea at the time of purchase! Why? He never looked at the Carfax report, and the dealer only said it had a “rebuilt” title. 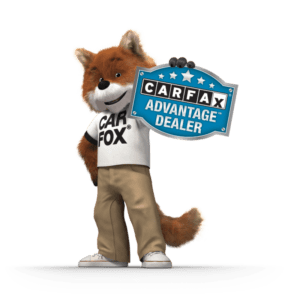 Highway Motors always offers a free CARFAX Report with every car we put in our inventory. We also never sell a vehicle with a “Salvage” title. Here are some other tips regarding flood damaged vehicles. Please be very cautious, if a deal looks “too good to be true” it probably is. Keep in mind many flood damaged cars, look good inside. People that flip “salvage” title cars find it very easy to hide the telltale signs of flood damage. Flooded vehicles literally disintegrate from the inside out. However, on the outside, they can appear like any other used car on the road. – Sand or salt in the trunk under the spare tire. Remember, only a Carfax or similar history report would show flooding. Always be diligent when buying a used car. Make sure and inspect the title, get a Carfax report and be very suspicious of cars from hurricane ravaged areas.